How Do We Make Plant-Based Eating The Global Diet Of Choice? This panel titled How Do We Make Plant-Based Eating The Global Diet Of Choice was hosted by Janette Fernandez of Eat Drink Vegan and explores the explosion of veganism. Sitting on this panel are, Ben and Roxy from So Vegan, Jamie Chapman, M*ilkman, Lauren Lovatt, Plant Hub and Rachel Ama. 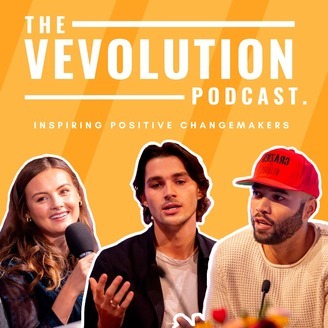 A little note on this podcast - there are audience questions towards the end which we have kept in they are a little on the quiet side so just keep an ear out for that. 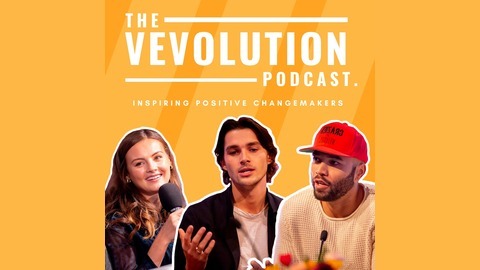 On the 28th April 2019 Vevolution Topics: Environment is coming to the RoundHouse in Camden, London. Come and join us for an afternoon of inspiring talks and great food. Tickets start from just £15.00 and you can expect talks on the topics of food waste, low impact living and tackling climate change.